Learners who prepare for exams using practice quizzes have a higher rate of success than those who simply read and study. Practice quizzes help students not only learn the material, but also gain the experience needed for taking a test. This can reduce anxiety and allow students to better focus on the content during an exam. Many standardized test companies use practice quizzes to help students prepare. And it works. The more a person does something, the more comfortable and adept they become at doing it. The use of practice quizzes gives students opportunities to learn how to succeed. So what does this mean for instructors? Can practice quizzes help improve student learning in the average course or training? The answer is yes. Practice quizzes can be useful in any learning situation, especially when prepared thoughtfully with student achievement in mind. So what settings should instructors consider when putting together online practice quizzes for a course? Consider the following five areas when creating online practice quizzes using ProProfs Quiz Maker. When setting up screens for students, consider whether to display all questions on one screen, or show only one question at a time. Showing all questions at once lets students see the entire quiz, and answer questions without moving to another screen. If quiz topic continuity is a factor, this may be a practical option. Choosing to show only one question at a time can help students focus on one topic, giving a single question or idea their full attention. Practice quizzes give students a chance to see what they know. When answers are available immediately on a practice quiz, students can quickly get an idea for which topics they still need to study. Sometimes it’s helpful to hide answers from students during a practice quiz. By choosing to withhold answers on a quiz, you can encourage students to re-examine course material and conduct further study. If you choose this option, let students see results of the quiz so they know which content to study. When you create questions in ProProfs Quiz Maker, you have the option to add a detailed explanation. This explanation is then visible to students once they submit an answer. This setting is useful in creating practice quizzes designed for self-assessment. To use this setting, choose a question type and create a question. Below the question you will see “Add Feedback/Explanation.” Click that link to add any comments you want to reveal to students. 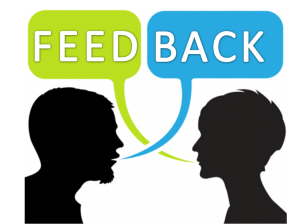 Feedback can also appear at the end of the quiz, with a simple response from instructor. You can thank a student for completing a quiz, direct them to additional information, or even ask them to go directly to a new quiz. To use this setting, choose “Customize Quiz Report” from the Edit Settings tab. Sometimes students are unsure that the responses they chose are the best answers. To provide a way for students to review their responses before submitting a quiz, choose “Allow review before final submission” on the Edit Settings screen. NOTE: This setting is only available if using Exam Mode, which prevents you from showing the correct answers during the quiz. This option can encourage students to take the quiz seriously and may help some students to build confidence before a more serious exam. The disadvantage to using this option is that some students may change initially correct answers to wrong answers. When creating questions using multiple choice, true/false, or checkboxes, you are able to add media to each possible answer. Possibilities for media can include images, videos, PDF items, text documents, or even spreadsheets. Any type of supplemental media that you wish to offer students can be added to each possible response. Students can examine this media to make a determination concerning the question on your quiz. Practice quizzes designed in open-book style are especially useful in helping students learn to find material quickly. Open-book style quizzes help students help students learn to solve problems by using available resources – a skill that is useful in test-taking and in everyday life. Link to articles, or even e-textbooks you want students to search for answers. Create links to any outside source available on your website or intranet, or even a public document on the web. If linking to outside sources, be sure to include enough specific instructions so students know what you want them to do, and what is allowed for the quiz. With ProProfs Quiz Maker you can also include supplemental material within the text of a question, as well as at the end of the entire quiz. At the end of a completed quiz you can chose to show a summary of results. You may want students to know which questions they answered correctly, and which ones were wrong. If so, enable the setting “Show score” on the Edit Settings page. For practice quizzes, showing a summary can be helpful if you want students to use the summary of results to know which questions they marked incorrectly. 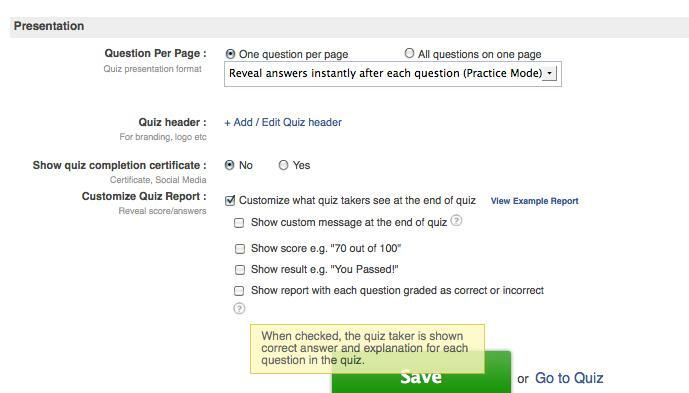 If your quiz is a non-graded quiz, disable all results by selecting “Customize what quiz takers see at the end of quiz.” This setting is useful when conducting a practice quiz designed more for student self-assessment. Practice quizzes can either be timed or untimed. 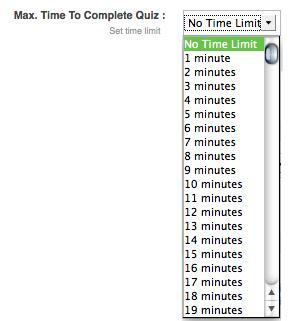 To set a time limit for practice quizzes, use the “Max. Time to Complete Quiz” setting on the General Settings page. Quizzes can be set to a maximum time of 240 minutes. Timed quizzes can be fun as an additional challenge, especially when students know the material well. Untimed quizzes are less stressful and let students work at their own pace. You may want to know which students completed a practice quiz, but don’t require other specific information about students. Configure the tracking information settings to include only the information you require. If you don’t wish to ask students any information for practice quizzes, chose No for all options. 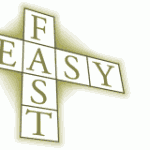 Allow students a chance to repeat practice quizzes. 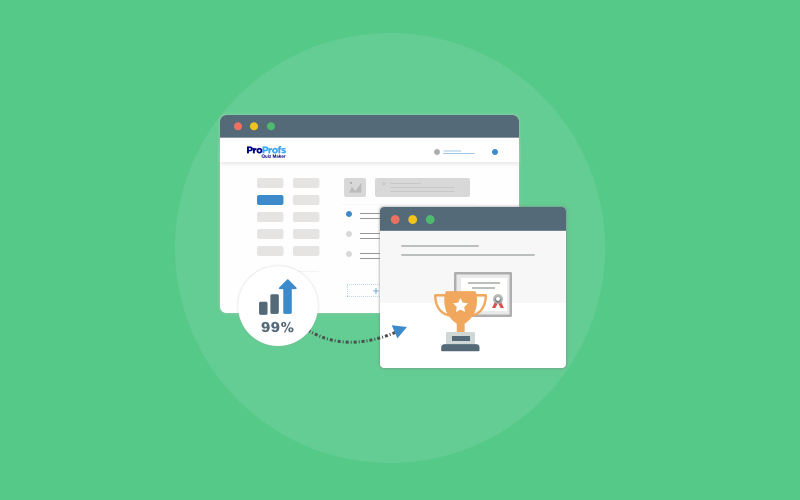 Settings in ProProfs Quiz Maker let you choose unlimited attempts per user, or up to five attempts. If you allow students multiple attempts for practice quizzes, enable shuffling to add variety to the way questions display. Shuffling questions will rearrange the appearance of questions in a different order as previously viewed. This can improve retention of facts, while discouraging rote memorization tied to the question order. Question pooling is an excellent option for practice quizzes. When choosing to pool questions you can create a large reserve of questions, then choose to display only a few of those questions on each attempt. Each time students make an attempt at the quiz, they receive a different list of questions. This is an excellent study aid when trying to encourage students to repeat a quiz.